BIU Group, one of the UK’s largest and most successful textile recycling companies, is pleased to announce it recently signed a new partnership with Midlands Air Ambulance Charity (MAAC). BIU has already placed 35 textile recycling banks across the Midlands region, and many more will be sited in the coming months. MAAC covers the largest region in the UK and operates entirely on donations alone. The charity is responsible for funding and operating three aircraft covering Gloucestershire, Herefordshire, Shropshire, Staffordshire, Worcestershire and the West Midlands. Each MAAC air ambulance mission costs £2,500, with funds coming entirely from donations made by the general public and local businesses. Although the charity has run recycling schemes in the past, it is anticipating the new partnership with BIU will generate £1,000s of essential life-saving funds each year. MAAC has been active since 1991, during which time it has been called out on over 40,000 missions across the Midlands. On average the helicopters are called out between six and eight times a day to assist in critical life saving accidents such as, road traffic accidents, falls and traumas. Air ambulance charities play a vital role in saving lives due to response times. If an accident victim reaches hospital within 60 minutes (the Golden Hour) their chance of survival is dramatically increased. MAAC operates from strategically placed bases across the Midlands, which means the maximum flying time to a hospital, from anywhere in the region, is less than 15 minutes. 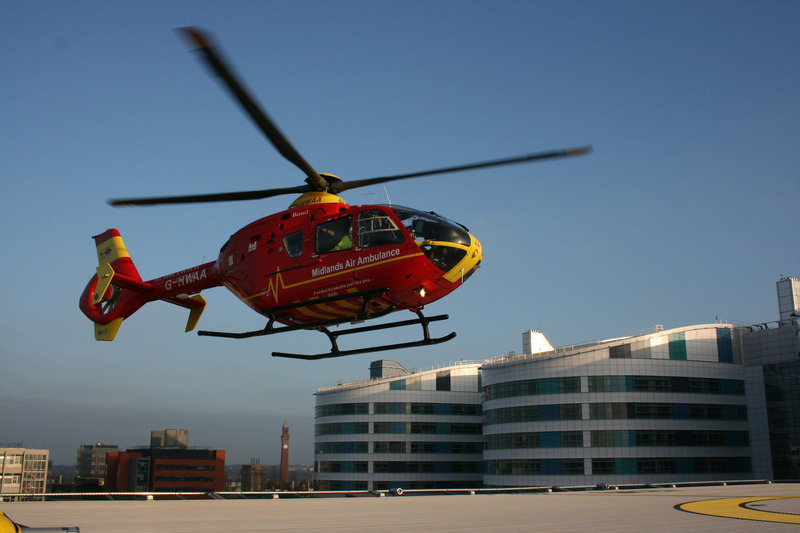 BIU works with a number of air ambulance charities across the UK, helping them to continue saving lives. Textile recycling banks and organisations like BIU are a vital lifeline for many local charities. Established in 2005, BIU Group collects and recycles unwanted clothing, shoes and household textiles, generating vital income streams for its charity and commercial partners. In eight years, the company’s charitable recycling schemes have funded life-saving missions by air ambulance, new wheelchairs to help children become more independent, support for children with life limiting conditions and their families, and community projects through sporting associations.